The Animated Child invites you to their Winter STEAM Camp! 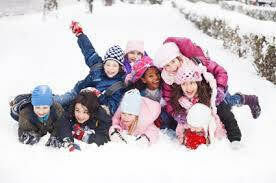 Have your kiddo join us for Winter Break! Weekly and Daily Camps available! Winter is our favorite season to learn! Dress for the weather because we are taking the science lab to the park! Camps are 8am-3:45pm, before and after care are also available as add-ons.